Product Consist : 1 kg Black Forest Square Shape Cake with Assorted Fire crackers (Worth Rs.300/-) (Note: Types of Fire Cracker are depends upon their availability no specific choice). 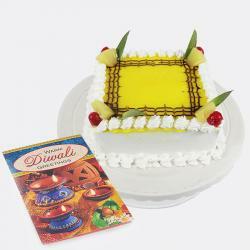 We bring to you suave Diwali gifts to make your celebration special. 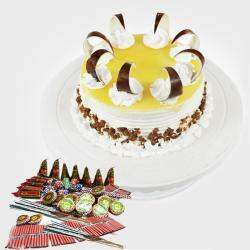 Gift a super tasty combo of cake and fire crackers to your loved ones to elate them. 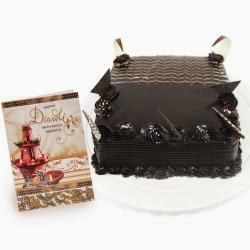 This is an elegant combo of a delicious 1 kg square shaped cake in Black forest flavor and Diwali fire crackers worth Rs. 300 that includes sparklers ground chakkars crackers and more. It is garnished with glazed cherries and grated chocolate flakes. 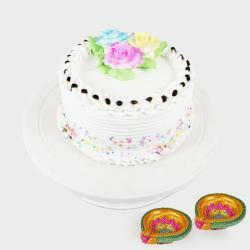 This fantastic gift combo is all set to make your loved ones feel special. 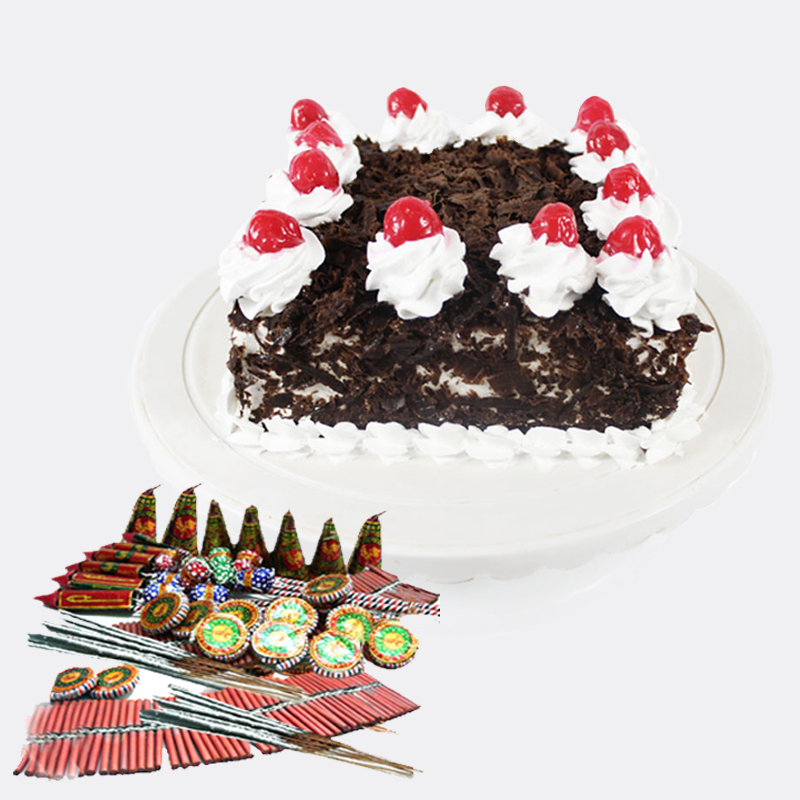 Product Consist : 1 kg Black Forest Square Shape Cake with Assorted Fire crackers (Worth Rs.300/-) (Note: Types of Fire Cracker are depends upon their availability no specific choice).